Janet Wolfe, C.P.S.M., is the Director of Marketing and Communications at DBS&A. She has 24 years of experience marketing professional services, including positions with environmental, engineering, and construction management companies. 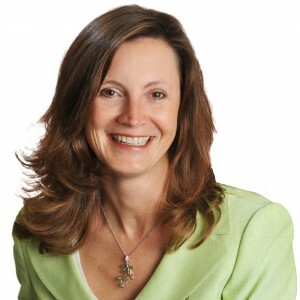 She is a Past President of the SMPS New Mexico Chapter and has been a member of SMPS for 20 years. Ms. Wolfe is responsible for directing DBS&A’s marketing and business development activities. She plays a key role in development and implementation of the firm’s strategic and business plans and oversees proposal submissions, new business development, public relations, event planning, and communications. In addition to her marketing experience, Ms. Wolfe has managed and participated in public communications contracts. Her experience includes facilitating public meetings for water resource and environmental projects, developing community relations plans, and preparing press releases, public information fact sheets, newsletters, proposals, advertisements, and presentations. Key clients include the Middle Rio Grande Endangered Species Collaborative Program, New Mexico Office of the State Engineer and Interstate Stream Commission, City of Rio Rancho, and New Mexico Environment Department. She served as master of ceremonies for a full-day Natural Resource Damage Claims on Tribal Lands national conference and a two-day Vadose Zone Hydrology: Principles and Practices short course.